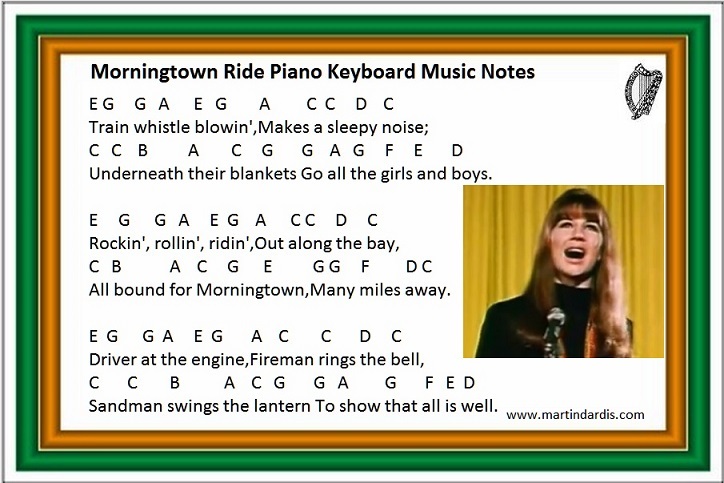 Morningtown Ride Tin Whistle And Piano Keyboard / Accordion Music Notes. These are the basic lead notes for beginners. Recorded by The Seekers. The whistle notes are different that the piano one's. I already had the piano one's on the site before I decided to place the whistle tab here. It's up to yourself which way you play it.